Imagine telling someone that you have decided to home school your children and the first question they ask you is “What about socialization?” One possible reply would be to just say “It’s not an issue because we’re not socialists.” However this may not be received very well. The first problem with the initial question is that it demonstrates a lack of concern for academic achievement. The inquisitor is not worried about if you will be able to teach reading, writing and arithmetic. The top concern seems to be about something unrelated to education. This reveals an implicit understanding on the part of the questioner that schooling serves many purposes. The second problem with the question is that it implies that if you choose to opt out of the public school system, you will shelter your children in a way that will harm them. As anyone who has looked at the topic of homeschooling more deeply can tell you, quite the opposite is true. Parents that choose to home school are very concerned about their children and make sure that their social development is encouraged just as they take responsibility for their education. The third problem with the original question is that it takes a negative aspect of public schooling and presents it as a positive. 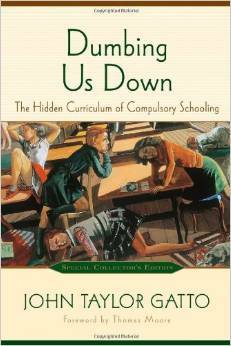 In fact there are many bad results from the socialization that occurs in age segregated schools. Human beings are social beings. Children learn to behave by imitating others and the pressure to conform is strong in group settings. Do you want your kids to be childish or do you want to encourage them to grow in to responsible adults? Locking children in a room with other children during the better part of their waking hours results in children remaining childish. It delays growing up by denying access to mature role models. Do you think the main focus of school should be on learning? How difficult will it be for a child to concentrate if they are distracted by other students passing notes, texting on a cell phone, or if they are thinking about who has the latest designer sneakers? Would you willingly expose your child to violence? By sending a child to public school every day it is only a matter of time before they have an encounter with a bully. As a parent you probably want your child to grow up and enter the real world some day. Then why send them to a place where they spend all their time with people that are the same age? There is no other setting where this is done. Family members are different ages. People you meet at the grocery store are all different ages. Coworkers in an office are of all different ages. The school setting is unnatural and certainly bears no resemblance to the real world. Age segregation teaches children to dislike younger kids as well as older adults. The very act of creating a group based on the arbitrary factor of age produces this result. Psychology teaches that people tend to like members of their group and dislike members of other groups. When children spend the majority of their time in school it teaches them that the most important group consists of those that are the same age. The kind of socialization that occurs in public schools is detrimental to the development of children into responsible adults. Homeschooling provides an alternative that will allow you to avoid these negative aspects of public school. If you can think of more reasons that public school socialization is undesirable, please share them in the comments section. This entry was posted in homeschool and tagged Homeschool, socialization on January 13, 2011 by Dan. Joel Salatin goes beyond organic in his farming practices. I’ve read articles about him in the Mother Earth News. I’ve seen him appear in documentaries such as Food Inc. I recently viewed this recording of a talk he gave at TED. I found it inspiring. It shows that he is not only good at farming, he is also good at marketing his product. The cheapest eggs available may not be the healthiest. Do you really want to buy eggs from factory farms that stack chicken manure 8 feet tall (source)? Seek out farm fresh eggs from a farmer’s market or road side stand. They may cost more per dozen but they are an excellent value for the money. This entry was posted in IndustrialFood and tagged farmers market, Joel Salatin, organic, TED, video on March 24, 2011 by Dan. I would like to draw your attention to a few articles that I’ve been reading recently. The first post caught my attention with its unique title: Six Simple rules on How to get 50 or more comments on your post about home education. The more I thought about this post the more it reminded me of the phenemenon of the troll. My first experiences with trolls came back in the days of usenet. This post from Sage Parnassus about being well read has an intriguing title as well: Bent Leather, Part 1. You’ll have to read the post to find out what bent leather refers to. Be sure to check out the follow up post as well: Bent Leather, Part 2. Finally, Parent At The Helm posts an answer from John Taylor Gatto about socialization. John Taylor Gatto has been an inspiration. He demonstrates his skill as a writer in his response. 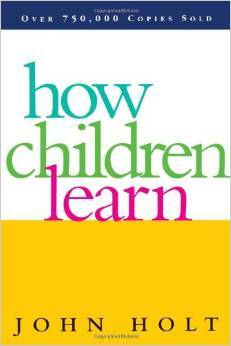 Of course, socialization is a topic that comes up frequently in discussions about home education. 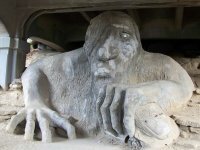 This entry was posted in homeschool and tagged Homeschool, John Taylor Gatto, reading, socialization, troll on March 24, 2011 by Dan. Imagine moving into your first house as a new home owner. The subject of lawn care comes up in one of your early conversations. The neighbor informs you that “your yard” is a mess due to the previous owner’s lax standards. He then goes onto tell you in painstaking detail about how he started his lawn from sod of the finest Kentucky blue grass. He gleefully informs you about the service providers he employees to care for his lawn. One person to spray chemicals to kill weeds. Another person to mow his lawn once with the bagger off and a second time with the bagger on. I found myself in this exact situation. As you might imagine, I take a much different approach to taking care of my lawn. I see it as a chore and my views are more in line with Paul Wheaton’s approach to lawn care. I never water my grass because I view it as a waste of water. Watering also makes the grass grow faster requiring more mowing. I take advantage of the mature trees on my property to provide shade and keep the lawn from burning. I enjoy seeing honey bees and other native pollinators visiting flowers such as dandelions that others consider weeds in my yard. Reduced variety of forage will have a negative impact on honey bee colony health. When I had to reseed a section of my yard, I used a mix that included clover. The clover will attract rabbits and other wildlife. I have also found more than one four leaf clover in my yard. Have you ever gone to the garden section of a retailer during the spring and noticed that chemical smell in the air? That smell is coming from the off gassing of the bags of lawn chemicals being offered for sale. The smell is a warning sign that the chemicals are placing a heavy load on your liver in order to deal with the toxicity. Have you ever noticed the sign on someone’s lawn after it has been hosed down with toxic chemicals warning you to stay off the lawn? I don’t think the aesthetic benefits of using herbicides on a lawn outweigh the addition of chemicals into the environment. Consider your lawn care practices carefully. What is the purpose of the actions you take? Are you simply caving to peer pressure from your neighbors? If you use chemicals on your lawn, do the benefits outweigh the disadvantages? Why not opt out of spraying dangerous chemicals in your own back yard? This entry was posted in Uncategorized and tagged health, lawn care, sustainability, toxic chemicals on March 23, 2011 by Dan. I was using a dangerous chemical two times a day almost every day for years. My body was starting to show the effects. It seemed that I was regularly having to buy new pants with ever increasing waist bands to accommodate my expanding belly. The chemical was and is being produced in large quantities in factories across the U.S. The purveyors make high profit margins selling the substance. The name of this chemical compound is high fructose corn syrup, or HFCS for short. I was ingesting it in the form of soda pop. As I learned more about the dangers of high fructose corn syrup, I decided I had to break my habit. I gradually began to drink unsweetened beverages with my meals. I found it hard to quit cold turkey. Slowly but surely, I reduced my intake. After a few weeks, I no longer felt an urge to drink sweetened cola, but chose water or iced tea instead. By eliminating these empty calories from my diet, I noticed a reversal in the trend line of my weight. I gradually lost ten pounds and my waist line stabilized. As I found out, there are other very good reasons to eliminate high fructose corn syrup from your diet. These reasons have to do with the fact that despite marketing claims to the contrary, high fructose corn syrup is not like sugar. It is not natural. It occurs at a much lower concentration in natural foods such as fruits. The marketer’s claims do not stand up to scrutiny. High fructose corn syrup is different. It attacks your liver. 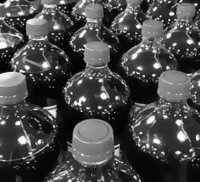 To make matters worse, when combined with copper deficiency, the ingestion of high fructose corn syrup can lead to infertility. There have not been sufficient long term studies to prove the safety of GMO crops. It is prudent to avoid GMO food and reduce the amount consumed where possible. Corn is one of the most widely genetically modified crops being grown today. When you ingest HFCS, you are also consuming GMOs. High fructose corn syrup can lead to excessive weight gain, damage your liver, lead to infertility and introduce the risks of eating GMO food. It is best to avoid it by eliminating it from your diet. Incorporating liver into your diet can boost your copper levels thereby increasing your fertility. Do you think high fructose corn syrup is the same as any other sugar? Or do you take steps to avoid it? Let me know what you think in the comments section. This entry was posted in IndustrialFood and tagged corporations, GMO, health, hfcs, high fructose corn syrup, industrial food, nutrition on March 15, 2011 by Dan. This week’s carnival of homeschool related blog posts is up. Thanks to Life Nurturing Education for hosting the carnival. Read the carnival here. This entry was posted in homeschool and tagged blog carnival, Homeschool on March 15, 2011 by Dan. Gold is a commodity just like any other commodity. 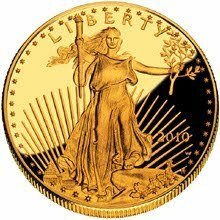 The American Gold Eagle is the most popular gold coin in the US. If you’ve ever talked to a retail level financial advisor that was recommending stocks or mutual funds you’ve probably heard this exact position on gold. There is a mountain of mainstream media propaganda that reinforces this position as it attempts to convince you to tie up all your assets in tax deferred retirement accounts. I’ve read a lot of it myself. Gold is money and nothing else. -JP Morgan source. If you’ve ever seriously considered gold as an investment you’ve probably come across this quote from a famous banker. Many advocates of gold say similar things. Yet we know gold is not money. We no longer buy groceries or cars with gold coins. The truth is that gold is not like any other commodity. Gary North’s recent article explains some of the misstatements surrounding gold made by those interested in trading US dollars for gold. Gold stands the test of time. It doesn’t rust and it doesn’t deteriorate. Coins found at the bottom of the ocean submerged for hundreds of years are just as marketable as recently mined gold. Is there any other tangible good or commodity that can be stored indefinitely? What if you wanted to purchase a year’s supply of gasoline at today’s prices? How would you store it? Have you ever heard that a thing is only worth what someone is willing to pay for it? North explains this in economic terms by stating that people impute value to an object. People have valued gold for thousands of years. A two thousand year old one ounce gold coin could be traded for roughly $1400 worth of goods and services today. What other physical object could last that long and still be used to purchase goods and services? Gold is something that could be passed on to future generations. Whether you already own gold or have never considered it as an investment, read North’s article. If you are curious, find a local coin shop and go in to see what a 1/10th ounce Gold American Eagle looks like. You could also feel the weight of a 1 ounce Gold American Eagle while you are there. Do you think gold is a barbarous relic or a valuable commodity? Let me know in the comments section. This entry was posted in PersonalFinance and tagged alternative investment, gold, personal finance on March 9, 2011 by Dan. In celebration of Fat Tuesday, this week’s home school blog carnival has a Mardi Gras theme. Read the carnival here. This entry was posted in homeschool and tagged blog carnival, Homeschool on March 8, 2011 by Dan. Imagine farming for your whole life. Each year planting a crop and saving seed to sow next year. Eventually developing a valuable local variety adapted to your local climate. Then one day a large multinational corporation sues you for infringing on their patent even though you have never used their products. To make matters worse the supreme court in your country finds in favor of the large corporation. This is exactly what happened to Percy Schmeiser. How did this situation come about? The story is explained in the documentary film, The Corporation. Initially the U.S. patent office rejected attempts to patent life. Eventually corporations were granted the ability to patent living organisms paving the way for GMOs. The patents granted to Monsanto led to Schmeiser’s predicament. You see, despite the corporation’s best efforts to control nature, ultimately nature takes its course. Many plants are open pollinated via the wind. Thus patented genes end up in a farmer’s field even though he has never used GMO seed. One of the most prevalent uses of GMO crops is to create herbicide resistance. This enables a farmer to broadcast spray a crop with an herbicide. The herbicide kills weeds and the herbicide resistant crop continues to grow. The spraying encourages the growth of herbicide resistant super weeds. The existence of these weeds leads to more spraying. Meanwhile the crop takes up the herbicide as it grows. If the crop is fed to livestock, the livestock accumulate the herbicide in their tissue. When the meat from these animals is consumed by people, they get a dose of chemical toxins included with their meal. Mad scientists are creating frankenfood. The Corporation also touches on the development of “terminator genes.” When a farmer contracts with a chemical company to use their GMO seeds he is forbidden to save his own seed. New seed must be purchased every year. Companies like Monsanto hire teams of investigators and lawyers to go after farmers suspected of saving their own seed. Unfortunately, threatening their customers with lawsuits isn’t a good enough solution. Corporations have developed “terminator genes” that destroy the ability of the second generation of a crop to reproduce itself. This technological solution prevents farmers from saving seed. What could go wrong with such a scheme? If terminator genes are released into the biosphere they could cross pollinate with existing crops leading to the eventual destruction of the crop. It is best to avoid toxic foods by opting out of the industrial food supply. Don’t buy processed foods made with corn or high fructose corn syrup because they are tainted with GMO corn. Consider growing a portion of your own food. Shop at farmer’s markets where you can shake the hand of the person that grew the food. Do you think GMOs are a problem? If you take action to avoid GMOs in the food you consume, please tell me about it in the comments section. This entry was posted in IndustrialFood and tagged corporations, farmers market, GMO, industrial food, patents on March 3, 2011 by Dan. Notes From A Homeschooling Mom is hosting this week’s home school blog carnival. Read the carnival here. This entry was posted in homeschool and tagged blog carnival, Homeschool on March 1, 2011 by Dan. Wish You Could Interview John Saxon? John Saxon created one of the most popular math curricula used by home schools. He is no longer with us today. However, Art Robinson did interview the author of the Saxon Math curriculum. He makes the recording available on his website for us to listen to. In a home school, the curriculum can be chosen based solely on the results it is expected to produce. These results can best be predicted based on past results. John Saxon comes across as a results oriented individual. We can make data driven decisions about how to transmit math knowledge to our students. I discovered this interview while researching curriculum. It provided worthwhile background on Saxon Math from the man who created it. The fundamentals of math have not changed much since Newton invented calculus and that there is no reason to buy brand new books if old ones in good condition can be found. I’d love to hear your comments if you have time to listen to the interview. What math curriculum do you choose and why? This entry was posted in homeschool and tagged curriculum, Homeschool, math, saxon on February 24, 2011 by Dan.